You Wouldn't Understand looks at how white teachers regard ethnic diversity in their classrooms and how their views affect their teaching. 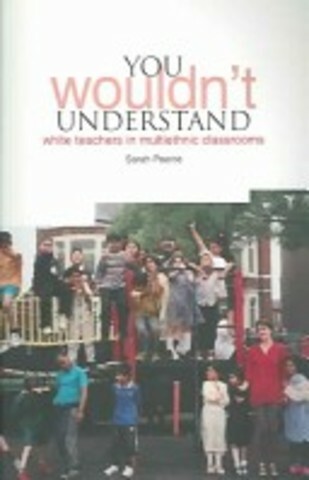 It tells the story of one white teacher's developing understanding of how her own racial and ethnic background influenced the way she regarded and taught the mainly South Asian Muslim children in her classes. She began with a belief that the narrowness of the National Curriculum was the problem for the pupils but she came to see the bigger picture. The book charts her gradual realisation that many of the problems lay with her own lack of understanding of race, racism, and her own racial identity.The book explores the idea of whiteness as not a biological but a social construction, one which influences white people's ways of seeing the world in often unnoticed ways. The author relates whiteness to aspects of her own behaviour, which she recorded in a diary over five years. 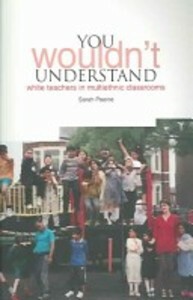 The book also considers the children's struggles to construct and understand their own emerging identities in this environment, and the views of several other white teachers, some of whom shared the author's confusion and doubts, and others who were more confident about teaching in culturally diverse classrooms.This searching analysis of the innards of whiteness and its effect on how white teachers approach pupils who are not white is illuminating and important. It should be required reading for all teacher trainers and all white trainee teachers, and also for white managers and teachers working in multiethnic schools.